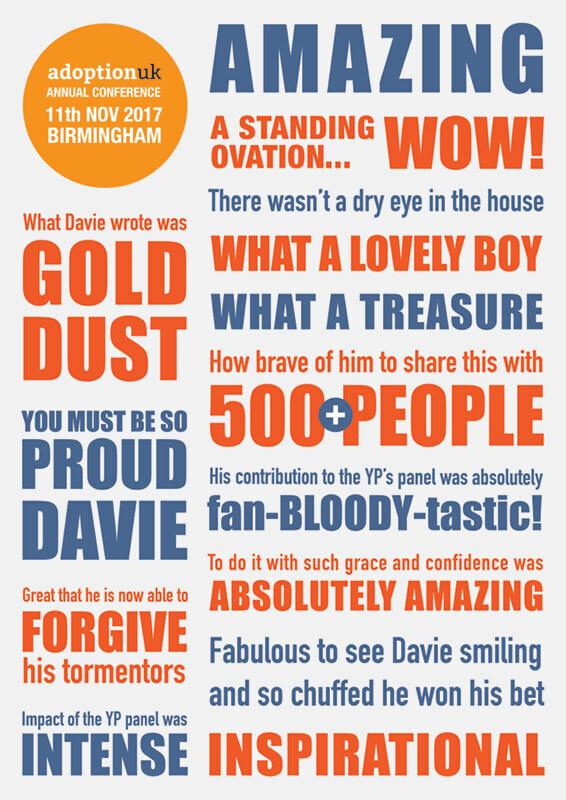 Create a typographic poster for their son Davie. Davie had recently given a wonderfully received speech at the Adoption UK 2017 annual conference about his experiences of being bullied for being an adoptee. The quotes are from the amazing feedback he received!